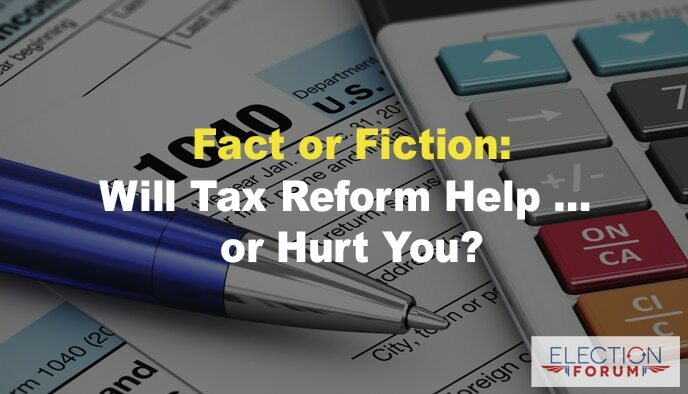 Fact or Fiction: Will Tax Reform Help … or Hurt You? Don’t believe the social and mainstream media’s liberal-driven agenda denouncing President Trump’s tax reform plan. Once more the progressive pro-socialistic politicians and media are portraying tax cuts as only benefiting the rich. These tax reforms will benefit everyone. First, it puts more money in your pocket … and less money to Washington bureaucrats. Make it simple to fill out our tax report. Encourage new innovations and raising everyone’s standard of living. His plan is to simplify the tax code. Here is how you and average Americans will benefit. No marriage penalty: Double the standard personal tax deduction, which will bring it to $12,700 for individuals and $25,400 for joint filers. Kid friendly: Provide child and dependent care tax breaks. A new tax credit for caring for elderly relatives under a tax “framework” being proposed by Trump and GOP leaders in Congress. Eliminate itemized tax deductions, except for charitable donations and mortgage payments. Lower individual tax rates from 7 brackets to 3, paying 35%, 25% and 12%. The terrible, job killing alternative minimum tax and the unfair death tax will be repealed. Lower the job-crippling corporate tax rate from 35% to 20% (wish this was at least 15%). Allow a one-time repatriation of corporate profits at a reduced rate. U.S. companies hold an estimated $2.5 trillion overseas. Small businesses, which often pay the top individual rate of 39.6%, will benefit from a significantly lower 25% tax rate. This is the No. 1 job creator, and it will be the No. 1 job creator part of reform. The greatest job creators in the world are the small business owners, of which I am one. We are trying to run successful businesses and provide for our families, but are being held back by an outdated, complicated tax code. Today’s tax code is unbelievably burdensome and makes life harder on American businesses, workers and their families. We must simplify Tax Day to one postcard anyone can fill out without software or a CPA. Fixing this will strengthen our local economies. Did you know that at the end of the day, more businesses close than open? A reformed tax code would encourage entrepreneurship and startups, innovations and technological advances. Bottom line for your bottom line: Simplifying the tax code is the best way to increase the economy. Incentives for job creation and business grow. They reward working, which translates into saving, investing, starting up and building a business. It frees up money to use resources efficiently and effectively. Higher incomes and expanded employment opportunities. The impact of tax relief reaches beyond the simplistic view that only upper-income earners and businesses will profit. When a society realizes how an economy grows – through greater risk taking through innovation, entrepreneurship and investment – it becomes clear that reducing the costs of such risk taking through tax relief is a positive that impacts the entire economy. It boosts growth, productivity, incomes and employment. Major tax reform is critical to fueling our country’s economy. As a business owner who has helped create thousands of new jobs and create new careers and business, I can tell you, taxes are killing us right now. Taxes, both business and individual, will be drastically cut. That means more money in your family’s pocket. Taxes will be structured to reward, not punish, companies to bring offshore monies back to America. Tax cuts will create new start-ups and create innovative technology. Taxes make or break a country’s economy. So, tax reform unleashes America’s economic potential. Now Congress must move quickly on tax reform to spark economic growth. Under existing policies, the Congressional Budget Office (CBO) projects economic growth at a paltry 2% over the next 10 years. But we could see 4% to 6% growth with major tax reform. A CBO study concluded that more than 70 percent of the corporate tax burden is put on American workers. President Reagan’s 1986 corporate income tax cut contributed 3.3% to economic growth over 10 years. President Kennedy’s 1962 and 1964 tax cuts added 6.2% to economic growth over 10 years. After President Reagan’s 1981 tax cuts, the economy created 11.7 million new jobs over 5 years. After President Kennedy’s tax cuts, the economy created 9.3 million new jobs over five years. These tax breaks would boost the economy because economic activity is dynamic and not static. As business creates new jobs and products and services, wealth is created for all … that’s the difference between socialism that stagnates welfare for all and a capitalist free enterprise that raises everyone’s standard of living. It’s time to change the tax code. It’s time to stop punishing family businesses and middle-class Americans. A thriving economy, after all, benefits everyone. And here is more interesting information for you: PAN For Children. If people and small businesses can’t itemize their deductions , that will cause people to spend less on their businesses because they can’t predict what their expenses will be. It will not cause them to create more jobs, in fact it will cause job losses in many industries. There is no guarantee that your predicted “cost savings” will create more jobs. This plan is a token tax cut for the middle class and a boon for corporate America and the wealthy who can shelter their income. It unfairly targets the states and cities with higher income because the cost of living is higher. Do you think we are stupid? Shame on you and Trump! Tax reform is no longer a constitutional subject given the that the Democrat party has moved from the liberalism of the 1950s to the establishment global-socialism of the 2000’s. And during the same peroid, the Republican Party moved from true constitutional-conservatism, to establishment fake-conservatism which is conservatism-lite mixed with a little socialism, fascism, and a lot of globalism. But, because the establishment republicans are always less destructive than the establishment dems, we somehow think were going to stop America from being destroyed by electing ‘the lesser of two evils.’ But like the Bible warns, leessor always brings more evil in the end. If we do not get busy during primary elections to replace republican fake-conservatives with godly constitutionalists following the original intent of our constitution, then America will continue to be destroyed. 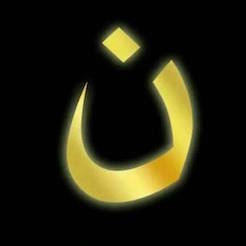 And if my church leadership, who I have spoken with, remains silent about our obligation to be ambassadors for Christ in government I will find a church that’s respects Jesus more than just working on good music and ear-ticking Jesus-talk. The bible doesn’t allow us to attend so called ‘churches’ allowing America to be destroyed while Christians blame it on the end-times, the providence of God, and whatever else allows Christians to blow-off being ambassadors for Christ in government. If pastors in early America acted like our pastors today, my Black ancestors would never have been freed from slavery because there wouldn’t have bern church leaders telling their church they were biblically required to fight the evils of slavery. Fake tax reform , 55 million murdered unborn children, stopping government controlling healthcare, government taking away our God-given right to protection from criminals in society and government, all comes back to silent church leadership funded by christians attending their churches. Leadership often blaming our country’s ruined condition on ‘the end times’ or ‘providence of God’ Instead of on Christians failing to be ambassadors for Christ in government, schools, the media, and businesses. The ruined condition of our country proves that communist/globalists find their agenda worth working on more than Christians find Christ worth working for. We can pray all we want, but when we’re done we best get working for Christ because Christ is not an ‘Almighty-bellhop’ who is supposed to come down and fix the problems Christians have caused by failing to be His ambassadors in government. It should be obvious, except to committed Marxists, that the corporate tax rate in the US should be lowered drastically. Even openly socialist countries have lower corporate tax rates. It’s long since time that the US stopped punishing both corporations and small businesses. That would help keep business and jobs in the US.